I do not know if you’ve ever heard of Maoi, the head-up dive computer that Thalatoo wants to launch, but it seemed to me that I had to say something to you today. Indeed they launched last month a crowdfunding campaign and it will end in just 5 days while they only have 12% of their goal to finalize, the equivalent of only 18 models of their beautiful innovation to pre-order … Why you should enjoy the opportunity to be one of the first divers to have his We do not have a habit of doing this but when satisfaction is there no reason to deprive ourselves of putting forward an other French company. So I have listed for you the 8 good reasons to afford this diving computer that seem to me indisputable. To confess everything when I first heard this novelty I thought it was useless. Given my practice of tek diving it could be understood it was not suitable for my use, rebreather dives for example, but by looking more closely I understood his interest for the vast majority of divers on our planet. Believe me that you are a beginner or experienced diving instructor, PADI or CMAS, the Maoi will be useful. In all these cases you use a means of calculating your decompression or checking your dive parameters in order to stay in the famous safety curve. Beginners will be happy to check their depth and dive time easily. The diver will be reassured not to lose his spatial visual cues by looking at his parameters usually located on the wrist which will hot him a source of stress. With this new generation computers it will be over to hear at the end of the dive “you have not seen the shark / the manta ray pass in the blue? You will not miss any more fish. With the screen on the case the audience will also be facilitated with information on your ascent without leaving your companion eyes. 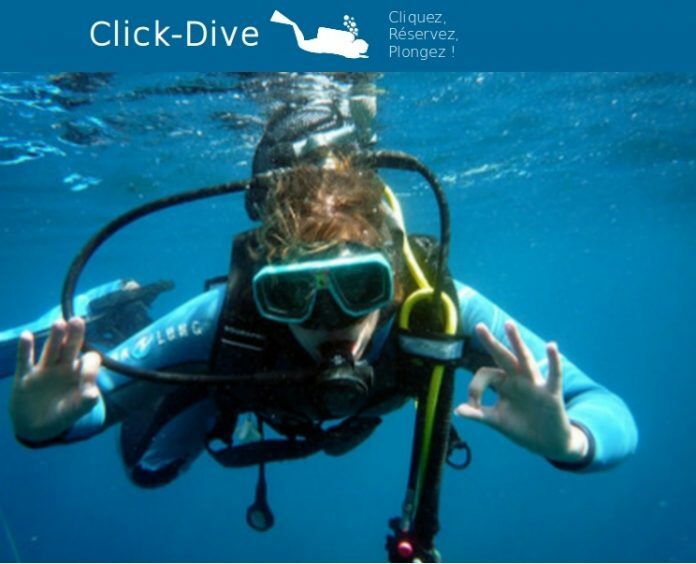 Maoi is therefore an additional security that is offered to all diving and even for supervisors as they can easily check what indicates the computers of members of their team. Also, knowing during a discovery scuba diving in real time the data of his adventure changes the dimension of the experience. Can it be a way to differentiate yourself with a Maoi performance for the pros? I could imagine a new certification card in future as specialty for Maoi divers. And why not take it with you for your underwater snorkeling simply? You will know in real time how deep you are when you go down to see the fish in apnea. Yes, you understand that even if you are not (yet) scuba diver you will love it! I’m not going to hide anything in this post, I’ll be the lucky owner of a Maoi when he comes out. Indeed, by chance, I won the contest organized a few weeks ago while I was about to decide to give me one for Christmas! You can not imagine how happy I was at the announcement of the result. I jumped like a little boy discovering his new toys in the morning of December 25 because I already understood that this computer would revolutionize our diving practice. Since then I was able to wear one of the prototypes during the Paris diving show. The visual comfort also surprised me, the presence of the powerful lights in the exhibition hall did not bother me for the reading on the screen which is very simple and effective. In addition the computer is not very heavy, it is forgotten on earth so in the water no fear about it with its low density. This test only fueled my hurry to test the craft under water. You will not go unnoticed equipped with this computer futuristic look. The Maoi will be, I take the bet, the star of the discussions of the summer.You will be a privileged witness of its abilities and you will be able to share your avant-garde user experience. No doubt the Maoi will become a social object, future tool of drag? … If this becomes the case it may be necessary to think about a meeting system integrated into future versions! I stop there this humorous little point. By entering the adventure Maoi you will become one of the first to use this innovative tool. Like our pioneers Cousteau, Galian and Delauze, whose admiration and admiration you read about their exploits and visions, you can take part in a technological revolution of your favorite activity taking the small risk of acquiring a tool that you do not know completely. It’s your turn to become like these famous figures of diving, a forerunner of modern times and therefore an actor of its development! Indeed your tests and returns will be used to improve the Maoi, I already have a lot of varied conditions where to test and ideas of adaptations to submit when I dive with. I’m sure you too! Being one of the first to receive your Maoi using the crow funding campaign that ends next Tuesday night you can benefit from a reduction of nearly 30%. For 350 euros is the average price of a standard recreational dive computer you can offer an extraordinary model. I’m willing to bet (again) that in the near future a lot of divers will be using a head-up computer. But it is likely that at this stage the prices will be higher than the launch offer proposed at this time. So in the end you will even save money and time by getting one of the very first models. I had the opportunity to meet the Thalatoo team on their stand of the 20th diving show at the Porte de Versailles Exhibition Center in Paris. Always with a smile on their faces, they presented their product to visitors curious to see it. The manufacturers of Maoi are motivated people and we have been able to measure the professionalism of the leaders during collaborations with the Click-Dive team on several projects. This little paragraph to tell you that this is not a scam, this business is good and your money if you choose to acquire your Maoi will be well designed to make it. Who would have thought that one day we could have a dive computer that would display the settings at the mask level? Some have imagined, others have dreamed or thought of watching a sci-fi movie or a few cartoons of a famous Manga. Boris and his team with his entrepreneurial spirit did it after a long period of research and development. By helping to finalize the launch of this first generation of new generation computers you will have the magic of the spirit to exist on the market. You can do this by pre-ordering a computer but you can also support this project with a little help of 15 euros by way of encouragement but also by sharing this article if you found it interesting. I hope that with these few lines I will have managed to show you that Maoi deserves to exist, it was my humble contribution to this project which I hope will succeed. You did not like or you want to react positively to this text? eel free to leave a comment below.